If you really zero in on what you want to get out of your kitchen you can spend a little more on the must haves and pinch pennies on the less important aspects of your new kitchen design. We’re all about lending a helping hand where we can, especially when it comes to kitchen remodeling and design. Here is our list of Kitchen Must Haves for 2013. 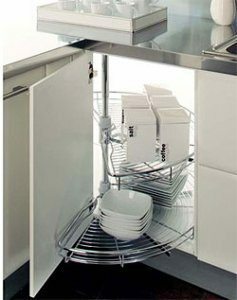 We love space saving designs and even more when they are aesthetically pleasing. Doubling up your drawers is a useful way to keep “undesirable” appliances out of sight and give you more storage space. 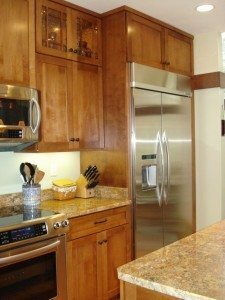 Installing a trash compactor or dishwasher within a drawer offers a handy appliance that matches your cherry wood cabinetry. Making drawers deeper allows for you to store larger kitchen items like pots and pans at waist height, which makes access to necessities easier when cooking. 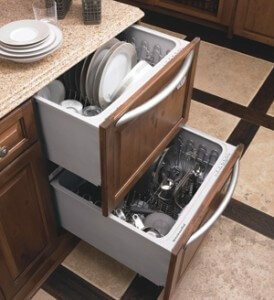 Doubling up on the use of drawers is the perfect way to make your kitchen design efficient. 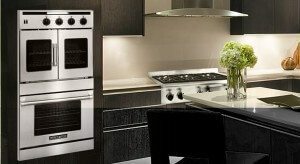 Double ovens are the new must have appliances. They easily install as a wall unit which alleviates bending down to use the traditional oven. The primary oven allows you to bake and cook while the secondary oven provides a warming place for dishes in waiting. By separating the ovens from the cook top you can install our next favorite must have, the island cook top. 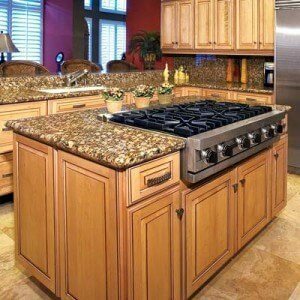 Island cook tops are perfect for large island kitchen tops. You get a generous work space to chop, peel, and prep along with the storage for necessary items below. These island cook tops can be built with downdraft exhaust systems which eliminates the large blocking range hood. Now you can literally go stove to table in minutes. Kitchen island cook tops create more room for other appliances around the kitchen space. 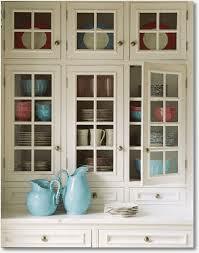 Ooo la la…we love glass cabinet doors. Why not show off all that fancy china you received on your wedding day? They need to shine as statement pieces in your kitchen and with glass door cabinets you get the decorative look of a formal china cabinet with the functionality of everyday kitchen cabinets. Glass kitchen cabinets also allow for install able lighting which provides a great backdrop for your dishes or other memorable items. These seamless style refrigerators make the appliances look smooth and integrated with the kitchen itself. Many are stainless steel, but some designs can allow for coverings that match your cabinetry. Built in refrigerators allow for all of your cabinetry and appliances to be aligned in a uniformed way. It moves away from the bulky traditional fridges that tend to take up more space. 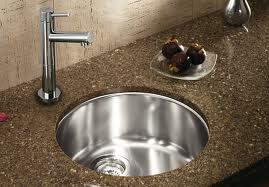 The secondary bar sink is becoming more prevalent in kitchens. Not only does it provide functionality it offers a designated area for entertaining. The bar sink can act as a prep station or can become a mini wet bar for your guests to create their own cocktails. For the spirited cook, a commercial range is perfect for the expanding kitchen. A commercial range offers a rugged “restaurant” look and will have 3 to 4 times more BTU output than an ordinary kitchen, but offers more cooking options. Let there be light. 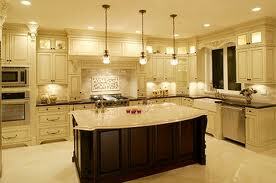 Lighting is necessary for kitchens as they tend to be the center of homes. Having multiple fixtures above your “workstations” and dining offers a pleasant environment to cook and dine in. Lighting projects can get creative as possible allowing for different fixtures and structures to be installed in the ceiling or on the wall. 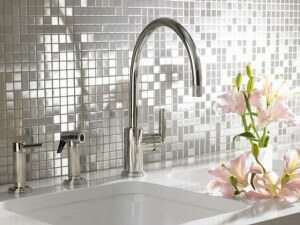 Stainless backsplashes are growing in popularity. Offering homeowners the ability to easily clean wall surfaces that get dirty from cooking and everyday use. We love the shiny look of stainless steel, but there are other options like soapstone, ceramic, and wood. Lastly for the kitchen that needs every area utilized for a purpose, the corner storage is perfect for taking the negative space in cabinetry and turning it into a positive. Include a lazy Susan that provides spinning shelving units to bring items from the back to the front easily. Our list of kitchen must haves is just a preview of our favorites, if you can dream it, Domicile in San Francisco can build it. 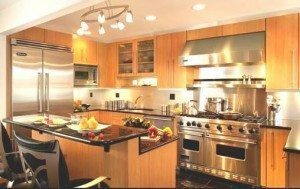 Our professional and experienced team of designers and contractors can customize, design, and remodel the kitchen of your dream. Call us for a quote!